Since October 1st, thousands of pilot hopefuls from 65 countries around the world have been battling it out on the DRL Simulator, a true-to-life drone racing sim that helps players fly FPV (First Person View) better in real life. This past Saturday, February 9th during the biggest FPV party of all time, the top 210 contestants went head-to-head in a live esports showdown at the HyperX Esports Arena Las Vegas at the Luxor Hotel. After an intense Round Robin, the fastest 24 players challenged each other during the Quarter Finals, 12 of whom made it to the nail-biting Semi Finals, aiming to secure a spot in the fiercely competitive 6-player Finals. 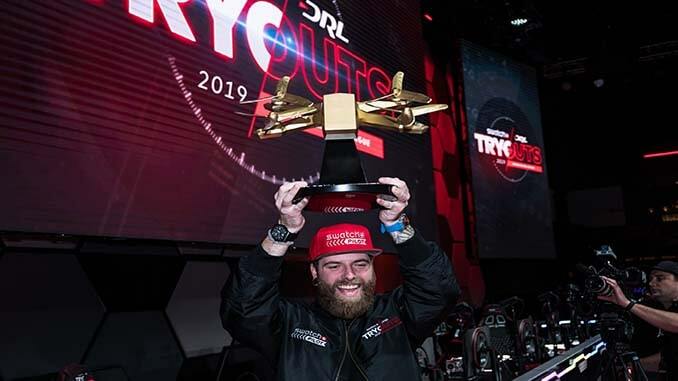 Earning the most points while racing over a city bridge in the final heats of a Swatch map, twenty-eight-year-old gamer from Bloomington, Minnesota, Phluxy, was named the Swatch pilot for the 2019 DRL Allianz World Championship Season and given a professional drone racing contract for $75,000. Millions of fans will watch him race in DRL on premier sports networks in more than 90 countries later this year. The Drone Racing League (DRL) is the global, professional drone racing circuit for elite FPV (First Person View) pilots. A technology, sports and media company, DRL combines world-class media and proprietary technology to create thrilling 3D drone racing content with mass appeal. The DRL Allianz World Championship airs in 90 countries worldwide, and has been watched by 57+ million fans. In 2019, the league will also host the Artificial Intelligence Robotic Racing (AIRR) Circuit, the premier autonomous drone racing series. 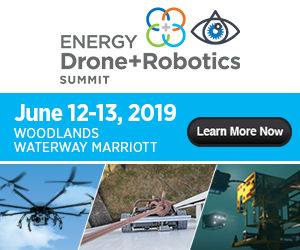 Founded by Nicholas Horbaczewski in 2015, DRL is a privately held company headquartered in NYC. For more information, visit www.drl.io. To join the conversation, follow DRL on Facebook at facebook.com/thedroneracingleague, on Twitter @DroneRaceLeague, and on Instagram @thedroneracingleague. Swatch, launched in 1983 by Nicolas G. Hayek, is a leading Swiss watch maker and one of the world’s most popular brands. The first Swatch watches surprised everyone with their revolutionary concept, creative design and provocative spirit. The brand philosophy is based on color, movement, lightness and transparency, which can be seen in every Swatch product and project. Today Swatch continues to innovate and surprise with new models, collections and special editions. The brand maintains a strong presence in the world of sports with its commitment to snowboarding, freeskiing, surfing, beach volleyball, mountainbike slopestyle, and drone racing. Right from the start, Swatch connected with art and artists, and Swatch watches remain a prominent canvas for artists from a broad range of disciplines. No Replies to "The DRL And Swatch Introduce 2019 Swatch Pilot, Winner Of Global Esport Competition"